Chris Macmillan, 4th Year UWS Sports Journalism. 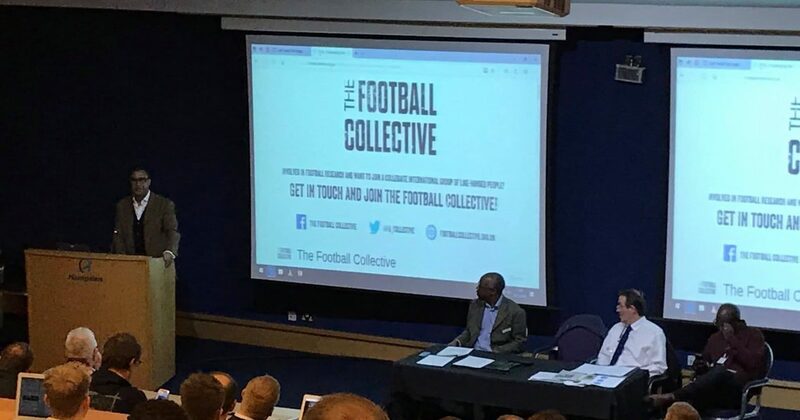 THE Football Collective 2018 conference is underway at Scotland’s national stadium and promises two days of academic insight into every form of football. The theme for the conference at Hampden Park is that of ‘challenging the narrative’, and in line with such a theme, the conference was opened with an opening presentation from keynote speaker Solvejg Wolfers, a PhD candidate currently exploring the positioning of female researchers in the footballing world, followed by an all-female panel, consisting of Dr. Stacey Pope, Premier League Education Manager Lucy Ward and Slavia Praha player Kylla Sjoman, critically discussing the state of female football in England. She believes that the challenges faced by professional female footballers is something which should have more devoted research and that work still needs to be done for the women’s game to increase as a spectacle. The former AZ Alkmaar defender continued: “There seems to be a growing crisis in mental health and a lot of research done on mental health and men’s football that attention doesn’t extend to professional women’s footballers. The two-day conference will be showcasing papers and presentations that, as Culvin explains, will challenge myths and misconceptions, commonly held attitudes and positions.